It is an irrefutable fact that social media has changed the way people express themselves and interact with one another, whether it be for better or for worse. Social media’s ascendancy can be best explained by how it can reach millions without any real or physical effort and the speed at which it can cover thousands of miles, and nothing seems to be curbing this momentum. While some individuals are notorious for their rants on Twitter – not taking any names but one of them rhymes with the word ‘grump’ – other use the service as a tool to raise awareness, show appreciation or simply to get their messages across. Though many in opposition may disagree, when it comes to Prime Minister Imran Khan, he gravitates a bit more towards the second category. Whether it is to congratulate, show condolences, share words of wisdom, call out the ‘corrupt’ and the ‘unjust’ or share personal victories, here is a quick overview of the premier’s Twitter in 2018. The cricket legend started the year on a high note when a court in Islamabad approved the pre-arrest bail of Pakistan Tehreek-e-Insaf (PTI) chief in all four terrorism cases linked to the 2014 sit-in, he took to Twitter to make a Bollywood movie-inspired statement that “My name is Khan and I am not a terrorist”. 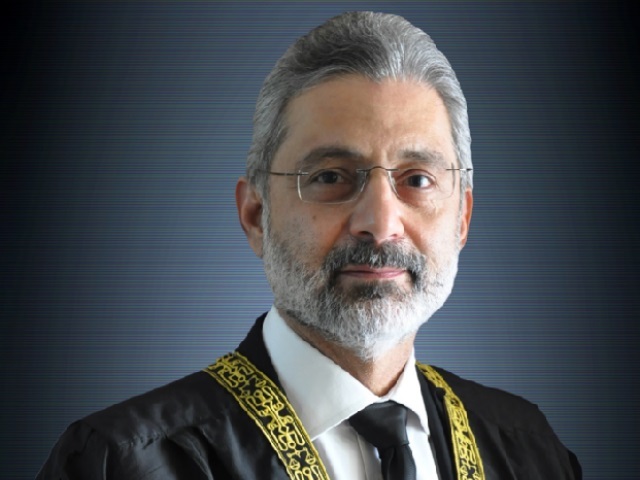 Referring to the December 15, 2017, verdict of the Supreme Court in his disqualification case, he said the apex court had already pronounced him ‘Sadiq and Ameen’ (honest and trustworthy) and announced that he was “coming after them crooks” now. When prominent lawyer, former Supreme Court Bar Association (SCBA) president and human rights activists Asma Jahangir passed away on February 11 after suffering a cardiac arrest, it was a sad day for the entire nation. Despite his differences with the late activist over the Islamabad sit-ins, Imran tweeted out his condolences calling her death “a loss of a strong voice for the marginalised and oppressed”, admitting that he “always respected her for her fight for human rights and for standing up for her convictions”. Asma Jehangir's death is a loss of a strong voice for the marginalised and oppressed. Despite our differences I always respected her for her fight for human rights and for standing up for her convictions. When it comes to equal rights, the ‘Kaptaan’ has always been quite vocal advocating rights for all in Naya Pakistan, doesn’t really matter if he is on camera or behind a keyboard. On the International Women’s day, the soon to be prime minister tweeted out saying that he wants to “reiterate PTI’s commitment to fighting for women’s rights”. This was followed by a nicely edited video paying tribute to the “Women’s labour Pakistan Tehreek-e-Insaf”. This might just be the most widely agreed aspect of Imran’s premiership; there is no Naya Pakistan without equal rights for all. This and the fact that PTI has some really talented video editors. On International Women Day I want to reiterate PTI's commitment to fight for women's rights. We will also ensure the privileged few do not deprive ordinary women of their rights. Appreciate A Abbas raising this in SC and CJP supporting the rights of all citizens equally. Kashmir has long been a sensitive issue for Pakistan and India. It is the single unequivocal issue that the neighbouring countries cannot seem to agree upon, with countless failed dialogues throughout the years. The premier on many occasions has condemned Indian atrocities in the occupied valley. However, the tweet that stands out among all is when he called out the Indian leadership and said, “small men occupying big offices who do not have the vision to see the larger picture”. OH SNAP! But our beloved leader is not only good at trading insults, but he is also a good citizen who cares for the environment. Case in point his #BillionTreeTsunami and #GreenPakistan drive. And his incredibly informative April 9 tweet, which shows that Laos is almost entirely just trees. On April 29, the PTI leader gave Lahore the “Mother of all Jalsas” while campaigning for the 2018 elections. Now that he has won the elections, all we need is the “Father of all reforms” and we’re good to go. Arguably the most repeated name on PM Imran’s twitter is Nawaz Sharif. His constant flak of the ousted leader has become routine. Although some tweets stand out more than others, like when he compared Nawaz with the likes of Mir Jafar Ali Khan Bahadur. Or when he speculated about the reason behind rising tensions and terrorism in Pakistan. 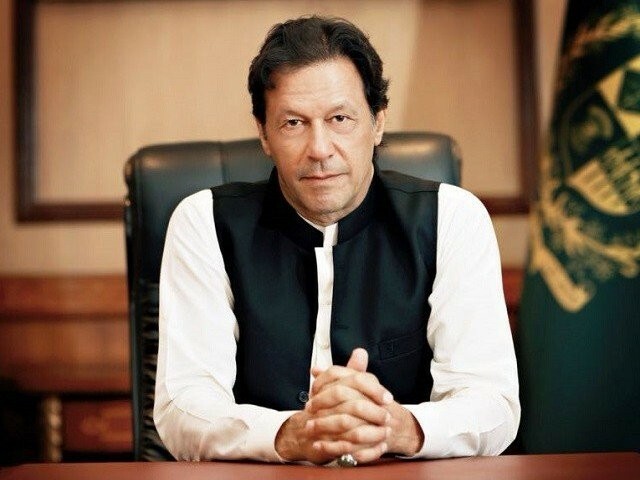 After the historic move by the National Assembly of voting in favour of a constitutional amendment to merge the Federally Administered Tribal Areas (Fata) with Khyber-Pakhtunkhwa (K-P), the leader of the ruling party of the province extended his congratulations online. The monumental transformation of K-P constantly claimed by Imran, however, has yet to spill over into the violence-stricken region. I want to congratulate the people of FATA. The merger of FATA with KP is a new beginning for those hardy and proud people who have been left behind in the world. The merger will confront a host of problems but with determination and perseverance these can be overcome. Imran’s victory in the general elections of 2018, although predicted by most, was a monumental day for the political landscape of the country breaking the cycle of Pakistan People’s Party’s (PPP) and Pakistan Muslim League Nawaz’s (PML-N) alternating governments. Its safe to say that it was a collective effort of PTI and its supporters across the nation. In efforts to ensure his victory, Khan used all forms of media – Twitter being one of them – to call out citizens to vote, and it seems that it worked. Plus, elections or no elections, his “sleep early and be fresh” tweet is just good advice. People of Pakistan must come out and vote tomorrow in this historic election. This is the first time in 4 decades the nation has a chance to defeat the entrenched status quo. Don’t miss this opportunity. All PTI workers and esp our polling agents should sleep early and be fresh and vigilant all day tomorrow to make history. Perhaps the most persecuted individual after Imran Khan’s 2018 election victory, who is neither a member of his party or Pakistan as a whole, is former Indian cricketer and politician Navjot Singh Sidhu. He has faced criticism, death threats and even legal battles for praising Khan’s leadership and supporting the Pak-India peace initiative. So it is only fair that PM Imran thanks him on Twitter for his mettle. In all seriousness though, we hope things get better for Sidhu. Often referred to as the “Poet of the East” and the “Spiritual father of Pakistan”, Muhammad Iqbal is among the most important personalities in the history of the country. On Iqbal Day, the premier took the opportunity to school his followers on Twitter about the national poet’s philosophy. Here is a take on Iqbal’s ‘Shaheen’ by PM Imran. Being the most followed head-of-state on the micro-blogging site, US President Donald Trump is becoming the face of the rapidly emerging ‘Twitter politics’, having personally typed many of the short rants that have angered people across the world. On November 19, Trump once again rolled up his sleeve, taking the liberty to criticise and downplay Pakistan’s role in the “War on Terror” with facts blown out of proportion, in what the local media referred to as a “tirade against Pakistan”. The premier struck back immediately and decisively, throwing factual statements in Trump’s face. It’s tough to say what is bolder on Imran’s part; risking increased animosity from the US or having a “War on Twitter” against the unrelenting Twitter-nut president. Apart from politics, the all-rounder prime minister makes sure that he and his Twitter followers stay ‘Woke’. He often quotes Nobel laureates, famous authors and even shares his own – sometimes complicated – words of wisdom. The richest wealth is wisdom. The strongest weapon is patience. The best security is faith. The greatest tonic is laughter and the greatest force is love. The surest assurance is hope in God. And the source of our strength is the joy of the Lord. Surprisingly all are free.